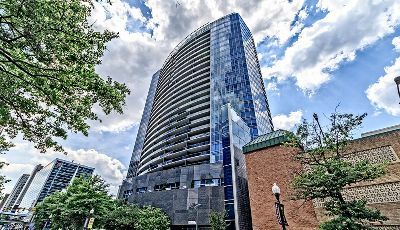 If you are seeking the epitome of luxury condos for sale in Arlington, Virginia, you might as well turn to the Turnberry Tower. Located at 1881 Nash Street in the heart of the Rosslyn, this development was delivered in 2009. With 26 floors, it’s currently the tallest condominium high-rise in the Washington Metro area. Designed by Robert Swerdroe, this super sleek glass structure ushered in a new gold standard for state-of-the-art elegance. Read More about the condos for sale at Turnberry Tower in Arlington, VA. There are 247 residences with 12 spacious floor plans. Just how spacious? The one, two and three bedroom city homes range from 1,322 to 5,304 square feet of living space. Many of the models include private elevators, and the prices reflect the high level of quality, starting around $750,000 and climbing to well over $2 million. Inside these impressive private residences you’ll find soaring 11-foot ceilings, choices of hardwoods including hickory, huge balconies and genuine floor-to-ceiling windows that let in abundant natural light. The modern open floor plans integrate nicely with European-style gourmet kitchens, with granite counters and islands, Italian cabinets, set-in stainless steel appliances including Sub-Zero fridges, and tons of room to entertain your guests as you cook. 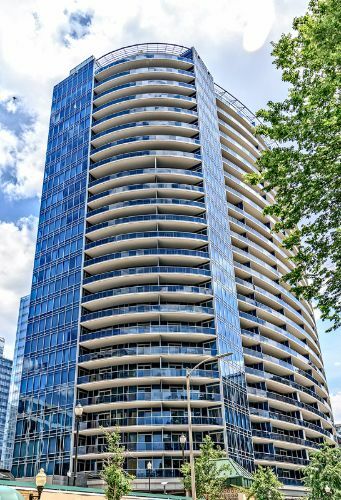 The Turnberry Tower is just a about a block from the Potomac River, meaning glorious waterfront property views from the balconies and the window walls. Also worth noting are the marble baths offering spa-like experiences with Jacuzzi hydrotherapy tubs. But the great amenities are not limited to residents’ living quarters. There’s a heated indoor swimming pool with attendants present to assist with towels and lounge seating, as well as an amazing health center overlooking the pool that is staffed with personal trainers. You’ll also enjoy a wonderful screening room with full catering kitchen, a social room for entertaining guests and a 24/7 front desk with concierge service, security and valet parking. Plus, there’s a spa with a complete menu of health and wellness services. There’s also the prime Rosslyn location, right off Lee Highway and a couple blocks from the Key Bridge for those commuting into Washington, DC. Residents are also close to the Rosslyn Metro Station. There are plenty of places to shop, dine and unwind within walking distance, plus a Whole Foods Market. This gateway neighborhood is also the starting point for the fabulous Rosslyn-Ballston Corridor with an amazing selection of top restaurants and entertainment options.